Your satisfaction is our highest priority. It may sound cliché, but we really aren’t happy until you’re happy. Our future success is built on your satisfaction, repeat business and referrals. That cannot nor will it happen until you are satisfied with your new kitchen countertops, vanities, showers and tubs. 5 Year Residential Warranty covers blistering, Peeling, Cracking and Fading caused by a defect in the product or workmanship. 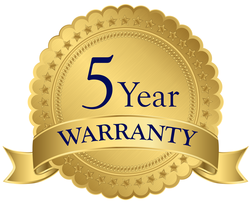 Your surfaces will be covered under the terms of the warranty for a period of 5 years. 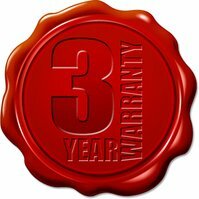 3 Year Commercial Warranty covers blistering, peeling, cracking and fading caused by a defect in the product or workmanship and will be covered under the terms of the warranty for a period of 3 years. 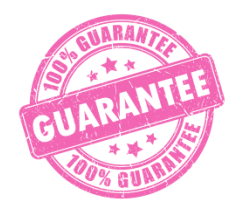 THIS WARRANTY INCLUDES THE FOLLOWING: Blistering, Peeling, Cracking and Fading caused by a defect in the product or workmanship will be covered under warranty under the terms of the warranty. If the surface blisters, peels, cracks, or fades, Renew Resurfacing, Inc. must be notified of such defect immediately. Please retain paid invoice to facilitate warranty repairs. Renew Resurfacing, Inc. will inspect the problem area and determine whether the resulting damage was caused by a defect in the product or workmanship. If Buyer notifies Renew Resurfacing, Inc. within the warranty period of any aforesaid defects in the materials and Buyer shows the materials were used and maintained in accordance with Renew Resurfacing, Inc.’s recommendations and standard industry practices, Renew Resurfacing, Inc. will cure defects by suitable repair at its own expense. WARRANTY EXCLUDES THE FOLLOWING: Excluding (but not limited to): chipping, scratches, stains, or knife marks due to misuse or abuse of surface, discoloration due to bleaches, dyes or acids, perfumes, solvents and/or problems caused by leaky plumbing or rust damage. Sharp or heavy objects may cause damage to the surface. The use of harsh agents such as Comet, Ajax, scouring pads or bleach may discolor or damage the surface. Plumbing leaks onto the refinished surface will eventually cause damage. Any damage to the surface resulting from improper cleaning, excessive use, and/or leaky plumbing is expressly excluded under this warranty. OTHER WARRANTIES EXCLUDED AND NO OTHER WARRANTIES MADE by Seller’s employees’ oral statement does not constitute warranties, shall not be relied upon by Buyer, and are not part of this agreement. There are no warranties which extend beyond the description stated here. Cure of the defects, in the manner and for the period of time provided above, shall constitute the Buyer’s sole and exclusive remedy with respect to the product. Warranty is for the original Owner/Buyer and is only transferable when the original Owner/Buyer writes Renew Resurfacing, Inc. to transfer warranty to new owner of said warranty and Renew Resurfacing, Inc. agrees in writing. • Renew Resurfacing, Inc. does not warranty kitchen sinks or rust repairs.